Karhara kalan village, Kabrai block, Mahoba district, Uttar Pradesh. 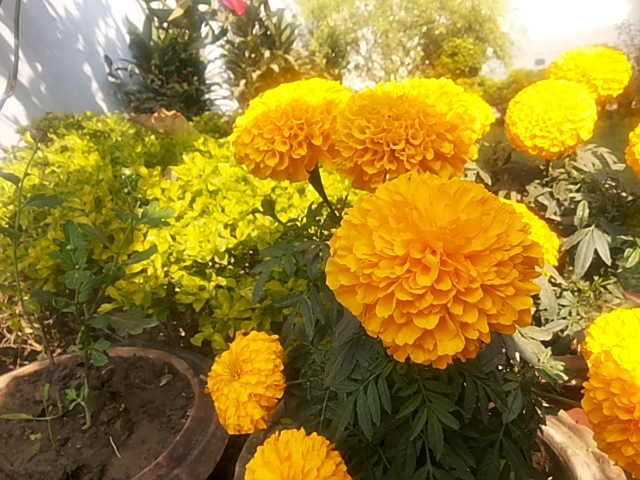 Manohar Singh Rajput planted 10 bighas of marigolds this year, but lost the entire crop due to unseasonal rain between the 27 of February and 1st March. His family is suffering the consequences of this, with no income coming in. The pradhan of the village, Mulandra, said he has requested the Lekhpal to do a survey to assess the damages to the crops. The Lekhpal told us that he has done the survey and sent the report to the administration. This details the compensation to be given to farmers growing channa, peas and masoor dal. Manohar Singh will also be given a compensation for his losses.